Land vehicles have been the fastest growing category of remote control systems for over a decade now, and rightly so. They are something that everyone can enjoy and with the wide variety of models available today, there is no shortage of finding the RC car that can give you an adrenalin rush. RC land vehicles can be divided into five categories: off road buggies, on road cars, monster trucks, stadium race trucks and motorcycles. Most of these types are electrically powered, but more recently, we have begun seeing some models that are gas powered. The off road buggies are the most popular type of RC vehicles – you can even say they are the reason for starting the remote control cars & trucks craze. The buggy has huge open wheels, designed with plenty of clearance as well as knobs on the tires for extra grip. The rougher the terrain, the better these vehicles perform which means you can drive them almost anywhere. The road buggies come in both 2WD and four wheel drive, although the 2WD is more popular. As for power, you can find both common electric and glow power. On road racing has become really popular, in some cases even more so than doing tricks with off road buggies. On road racing branches out into two categories, one being the traditional on road cars which are designed extremely low and are modelled after NASCAR and Indy cars. The outer shell on the car is really smooth in order to reduce wind resistance as much as possible. In the second category, we got the newly emerged parking lot racing, also known as Sedan or touring car racing. In this category the cars are made to resemble sport cars, Indy cars or stock cars. They are great for riding on pavement and better for off road than the original on-road cars. 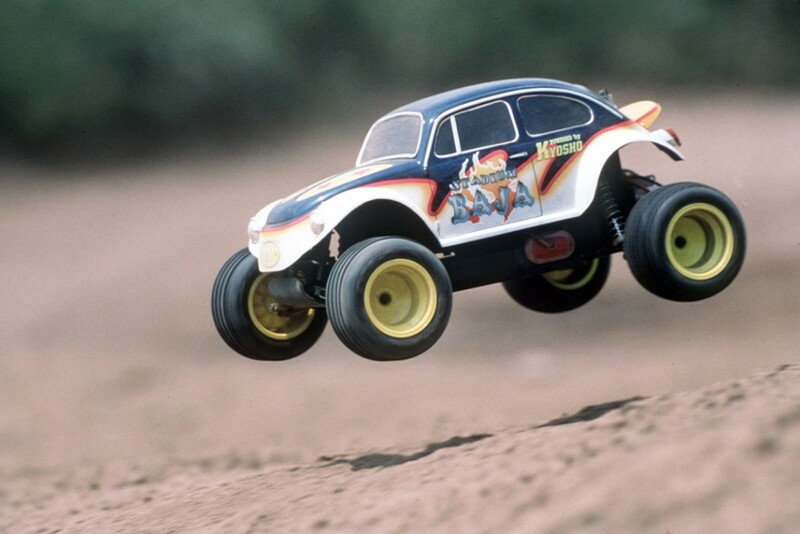 When most people think of remote control cars & trucks they think of a monster truck. Their design is very similar to that of the off road buggy, just much bigger. Their size allows them to climb steep terrains, pull, crush, and overall provide great entertainment. Monster trucks are characterized by their 4WD configuration, deep tread tires and overall bulk design and these brutes often have two motors powering them to give them that extra torque. If you want the best of both off road buggies and monster trucks, then the stadium racer is the perfect RC for you. They are basically a combination of both of them and with a sport truck body and knobby truck tires, these RC trucks can give you endless hours of fun. They are the best when it comes to off road and speed ability, and boy can they move… They are available in both electric and nitro powered version. Although fairly new and not as popular as their 4WD cousins, motorcycles have recently come into their own as more of an interest category. They actually operate as the real thing and drive on two wheels once they get going and turn corners by shifting the balance to “lean” into a turn. They are pretty fast too.